Regular readers will have known for some time that astronomers have found and classified many hundreds of exoplanets. But as is usual in Astronomy, the sheer scale of things, the vast number of amazing facts, can desensitize a person quite quickly. We hear the facts and nod sagely, but seldom stop to really think about what we’re hearing. 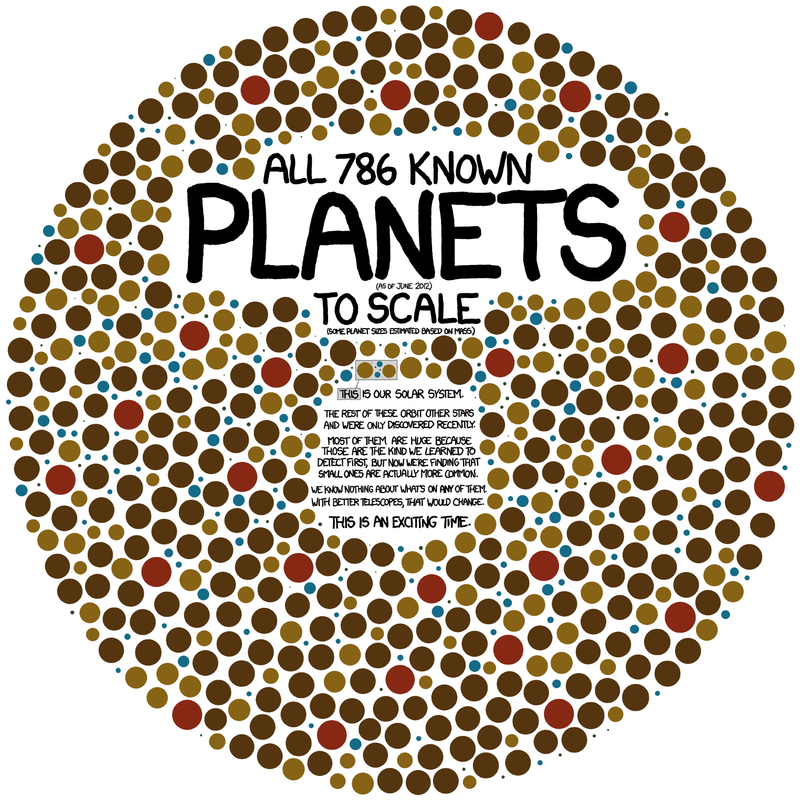 Randall Munroe from xkcd.com presents this infographic which deals with that problem quite neatly: He shows us every single planet known, to scale. 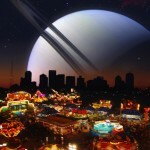 It is worth noting, though, that the sizes of these planets have not been directly measured. We know their mass, and so the size presented is calculated based on the assumptions that these other planets are build from the same materials as those in our own Solar System.